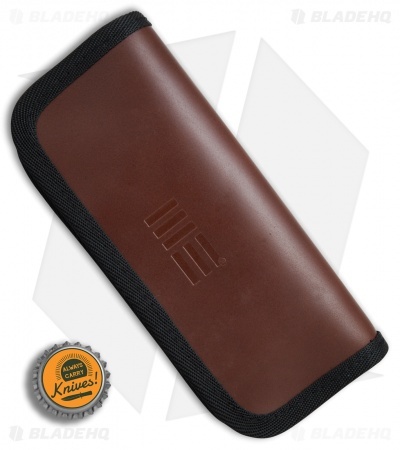 Give your favorite WE knife a suitable home with this leather zippered knife pouch from WE Knife Co. 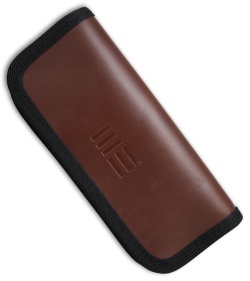 It measures approximately 6.8" by 3.0" and is made from leather with nylon on the inside. Perfect for storing or transporting your favorite WE folding knives. When I opened the plastic bag this pouch was contained in, a very strong, foul, chemical-like odor was noticeable. A couple of days later I can still smell the odor. I'll have to try leaving it outside to air out.